For the purposes of this manual, a Cycle Network is a defined collection of connected routes. Routes are a set of connected links and junctions that follow logical corridors between zones or urban centres. Links are individual sections between junctions. Routes may be up to 6km long and Quality of Service is normally determined at route level. The purpose of the cycle network is to connect the main zones of origin and destination within an urban area and should provide effective through-movement for cyclists. 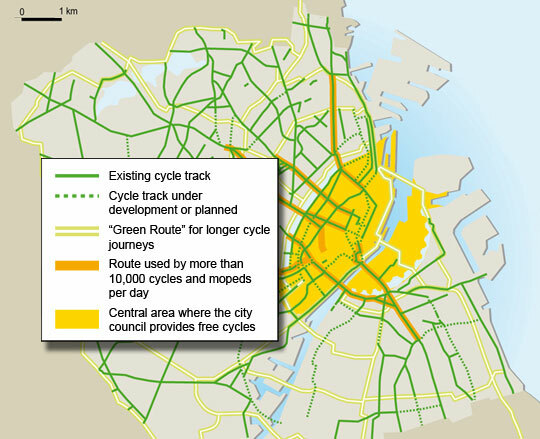 A well-planned cycle network will carry the vast majority of cycle journeys, in cycle-km terms.